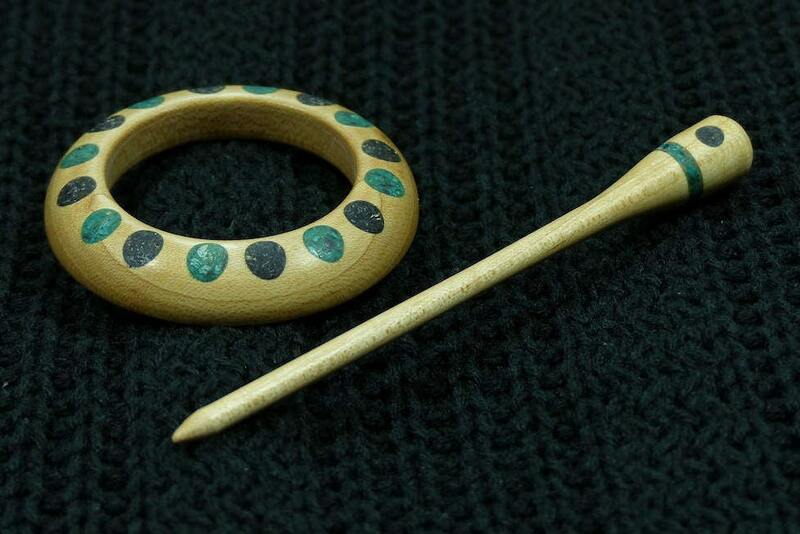 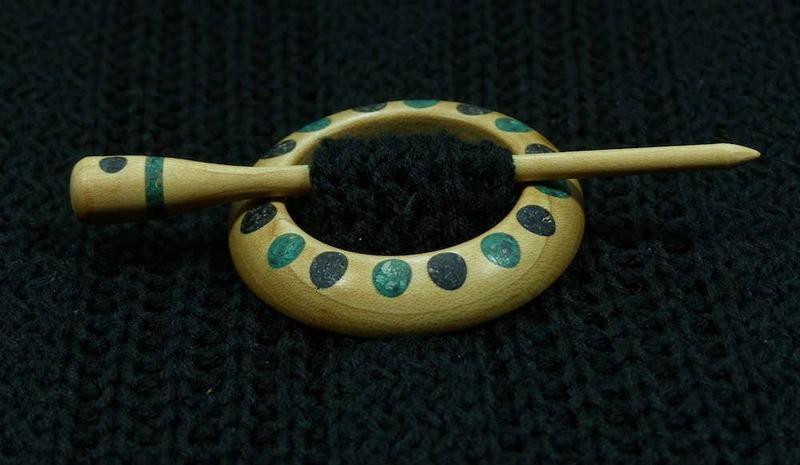 This hand-turned maple shawl pin set with Turquoise, Chrysocolla and Black Tourmaline gemstone inlay is a perfect finishing touch for your hand-knit or crocheted shawl or scarf. 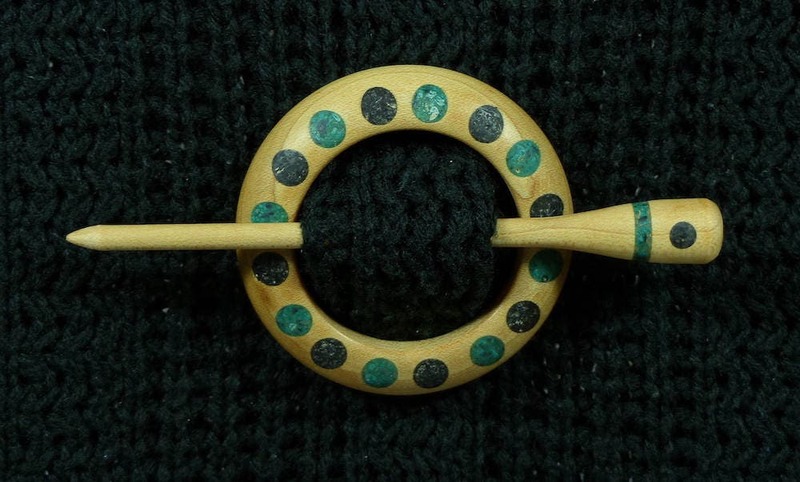 Handmade from beautiful NYS-milled wood. 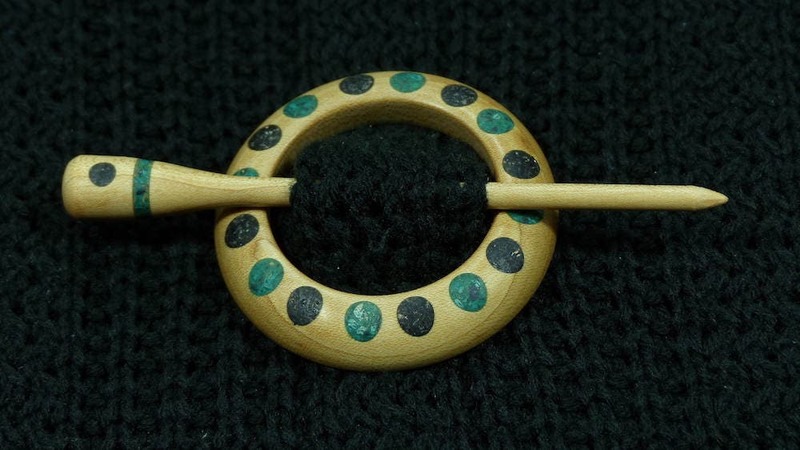 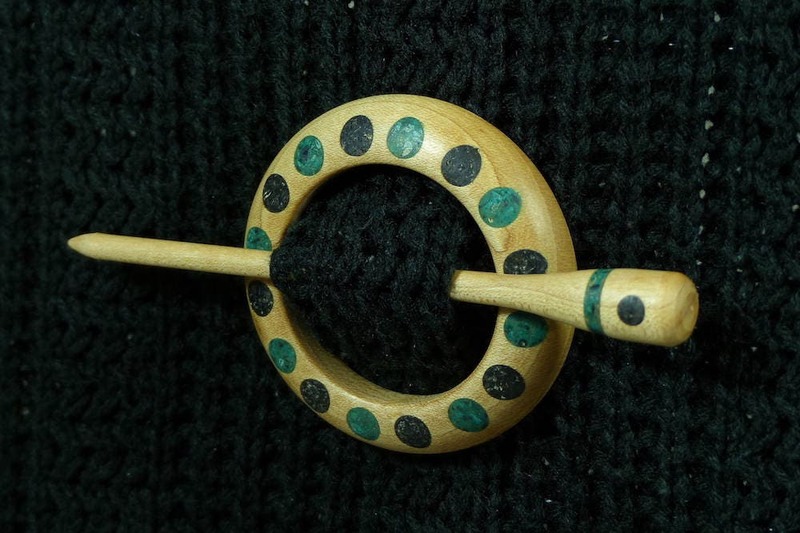 These stylish and functional shawl pins make great gifts as well!